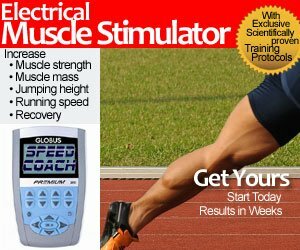 Here is a collection of 40 yard dash workouts and videos from Speedendurance.com’s archives. This collection’s last update was June 2008, so I thought it was time to update it. Video on How to Improve Your 40 Yard Dash – Jason Hadeed from Elite Athlete Training Systems and his 4 and a half minute video on how to improve your 40 yard dash. Jason Hadeed was murdered February 2008. Staying Low on a 40 Yard Dash or 100 Meter Start – Adarian Barr from Speedbynature.com explains what is implied when a sprinter is instructed to stay low at the start and for the first 10 yards or meters of a sprint race. Darren McFadden 4.27 40 Yard Dash – Video of Darren McFadden’s reported 4.27 on his 40 Yard Dash NFL football combine in 2008. Fabian Washington 4.29 Fastest 40 Yard Dash? – Fabian Washington recorded the fastest 40 yard dash at the 2005 NFL Combine with a time of 4.29 seconds but no video is available for proof.